"Who Sampled It Better?" #15 - Odetta's "Sakura"
One of the great things about doing WSIB is that I get to learn more about some of the artists who were sampled at the same time the readers do. One of the more fascinating I've come across was in her heyday famous enough to go by her first name alone, much like Cher, Madonna and Beyonce. That being said it's time to introduce you to Odetta, full name Odetta Holmes, born on the last day of 1930 and having left this Earth a little over a decade ago on the 2nd day of December in 2008. 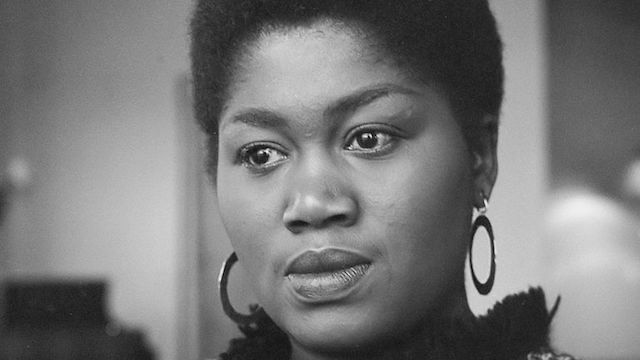 Odetta was born Birmingham, Alabama but spent her formative years in Los Angeles, and her singing talent was recognized at a young age, receiving opera training in her teen years. Hers was not to be a "Phantom of the Opera" or "Les Miserables" career though. Her fledgling musical career was launched by touring with the musical "Finian's Rainbow," and after discovering the folk singing scene of the San Francisco in the 1950's her career path was set. In the 1960's she became one of the voices of the Civil Rights Movement, although she modestly described her role as "one of the privates in a very big army," she sang "O Freedom" at the famous 1963 March on Washington. After this she began to broaden her scope to other genres beyond what she was known for, which led to experiments like her "Odetta in Japan" live album in 1966. That's the album today's famous sample comes from. You may not recognize it played at this speed, but you'll know it better when you hear the two songs you can vote on below. Before that though I recommend reading more about her remarkable career, which included acting and television roles, a slew of albums spanning the decades, and she even began touring again in the late 1990's right up until her health problems in the late 2000's. Quite frankly I'm not satisfied with the information available on Wikipedia - I'm actually going to be searching out an autobiography to learn even more. That said here are you two choices for this week. 1.) East Flatbush Project - "Tried By 12"
This week you can vote on Odetta's "Sakura" for Who Sampled It Better? https://t.co/1uUO1Sofxc Choices are East Flatbush Project and G-Eazy. We'll have the results for you next week.